The 8' Tribeca Wall Package is our most economic option for a seamless graphic trade show display. It so easy to set up and transport that you'll wonder why you considered any other alternative. 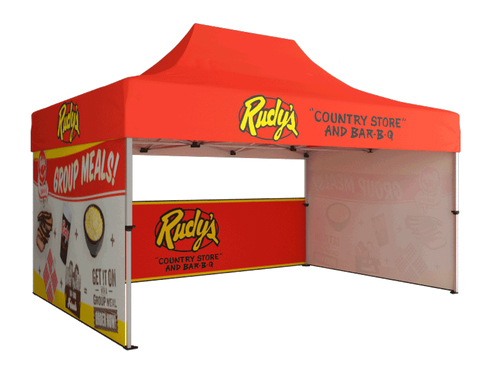 This versatile product is printed on three separate banner stands, and can be displayed to form a beautiful graphic backwall at your next trade show. Magnets on the top and bottom frame connect the stands when displayed side by side easily transforming the three individual stands into a straight or curved trade show display. The lightweight frame sets up within 5 minutes and is a great alternative to traditional backwall display!